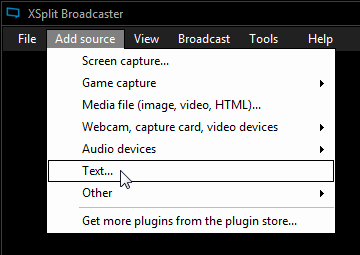 There are a variety of options to customize your text in XSplit Broadcaster. There is also support for scripts that allows for near limitless possibilities. choose the font and font color. add an outline to the text. adjust the opacity of the text. style the text and adjust the alignment. 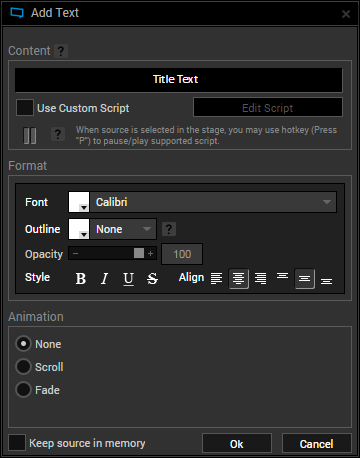 enable scrolling or fading on the text.